This is it good people in Blogland, just one more sleep left until the big day. It’s Christmas Eve a.k.a 24th December a.k.a day 24 of this years Advent calendar Blog posts. As this is the last advent post of 2014 from me it will cover the final three letters of the ABC of British bands. So that’ll be ‘X, Y & Z’ then. before I reveal who the lucky bands are let me take this opportunity to wish al of you a very Happy Christmas and a prosperous 2015. If you don’t celebrate Christmas then I hope that you have a very long and very happy life anyway. So onto the bands for today; Ladies and Gentlemen please allow me to introduce X-Ray Spex, Yazoo and the Zutons. This won’t be a long post because I will shortly be starting my own festive celebrations. So firstly it’s X-Ray Spex. Lead singer Poly Styrene was born Marianne Joan Elliott-Said and as Marie Elliott she issued a reggae singled called “Silly Billy” in 1976 which sadly failed to chart. The band’s highest charting UK single was “Germ Free Adolescents” which reached number 19 in 1978. Sow how about Yazoo? Or you may know them as Yaz in the USA after a spot of legal wrangling with Yazoo Records. Yazoo was made up of soulful vocalist Alison Moyet and Synth Supremo Vince Clarke. Vince’s talents know no bounds and he had hits as part of Yazoo, Depeche Mode, The Assembly and Erasure. 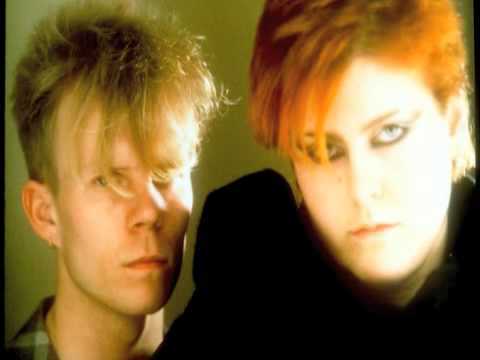 Yazoo had four UK top 20 singles from 1982 to 1983. “Don’t Go” took them to number one in Belgium in 1983 and they had three US dance chart number ones from 1982 to 1983. They also won a Best Breakthrough Artist Brit award in 1983. And finally those Scouse Scallywags the Zutons. The band took their name from a member of Captain Beefheart’s Magic Band; Bill Harkleroad was known as Zoot Horn Rollo, but this was often shortened to Zuton. Many people now see their song “Valerie” as an Amy Winehouse classic, which it is. However it was also the Zutons tenth single release and their joint highest chart position in the UK. It made number 9 in 2006 as did “Why Won’t You Give Me Your Love?” in the same year. Winehouse’s version of “Valerie” was recorded with Mark Ronson and reached number two in the UK in 2007. And finally a special Amy Winehouse bonus 🙂 Happy Christmas!